As we all know, Halloween marks the beginning of the three-day long celebration with the departed souls. The Dia de Muertos or the Day of the Dead, the very next day to Halloween, 1st November, has Mexican roots, but don't we love it all? 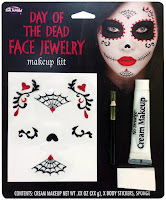 Do you know that Halloween may look just the same as Halloween, but the bottom idea is an exact foil to each other. While the Halloween celebrations stem from the fear of the dead, the Day of the Dead celebrations welcome the spirits of the departed loved ones into our homes and cemeteries. Let's ready ourselves to welcome our dear ones with PartyBell by your side. The costume is classy, vibrant and goes well with underlying idea of this traditional festival. Add the mask and makeup of your choice and you are good to go. The costume is going to rock the Dead of the Day celebrations. The shreds of fabric scattered all over add to the spookiness of the costume. The blood stained skulls all over the costume makes it class apart. Get yours here. This costume is a perfect match to all the vibrant teens out there. It includes a skeleton chest and multi-colored bottom dress with matching sleevelets and tights and a floral headband. Grab it here. 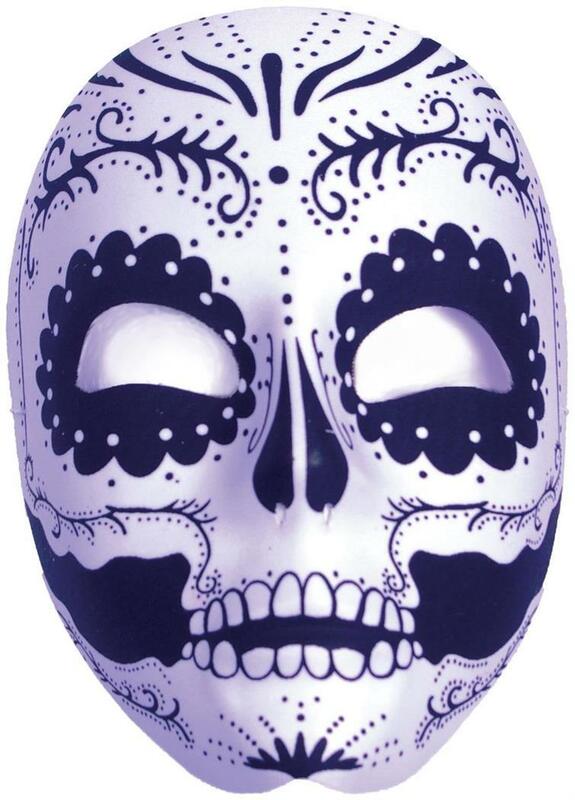 The costume turns into one nasty getup for your Dia de Los Muertos celebrations. You get the whole costume including the gloves. Go crazy with the makeup or wear a mask. You can get your costume here. 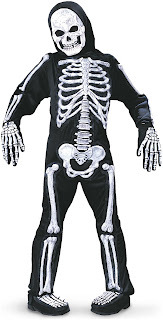 Do you find this costume scary? I bet you would when your little monster would come roaring and making faces as he dons this costume. Get one for him here. 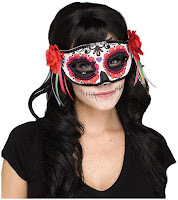 For the dazzling diva in your house, PartyBell has this perfect Diade Los Muertos costume. The foil printed jewelry, sequinced shoulders and skirt bottom add the sparkle. The costume has an attached silver sach too. 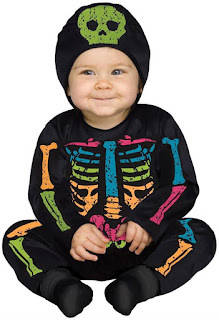 Can there by any cuter skeleton? Leaving you with many more from the PartyBell store. Enjoy! Tap on the image you like to visit the PartyBell store.